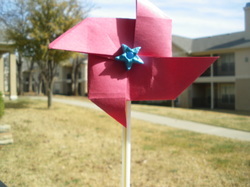 Create beautiful paper windmill crafts by folding colorful craft papers. CHECK slideshow BELOW for steps!!! Click on the pic on the sides to select the photo. Here are some great ideas brought to you from different internet sites....enjoy making with your kids. 1. Jewellery hanger frame: Take a square plastic mesh canvas & fix the sticks in form of a frame, both in front & back for support. Also place 2 sticks diagonally at back starting from 2 bottom corners. Let them stick out like legs for standing. (see the pic). 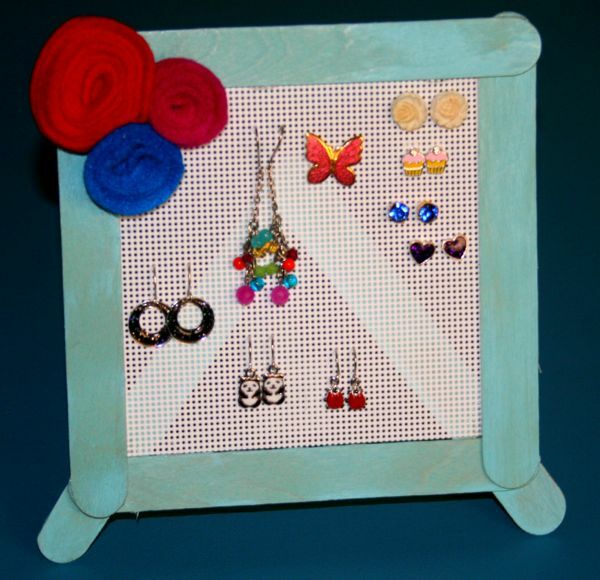 Decorate frame at corner with flower cutouts or felt flowers or stick colorful buttons all along the frame edges. Above: Pretty Rainbows & rain drops decoration for kids room!! Made from hand impression cut outs..lovely right!!! Hanging decorations for kids room!!! 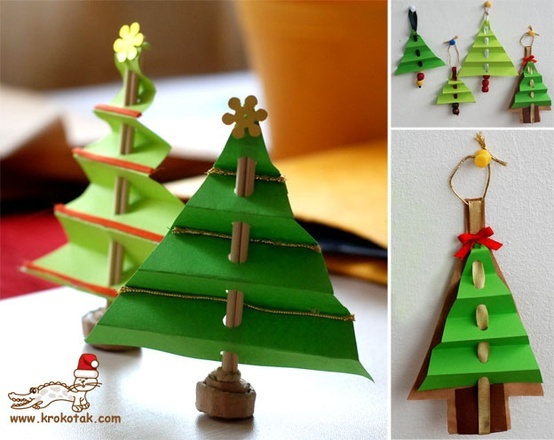 Made from colored card paper. 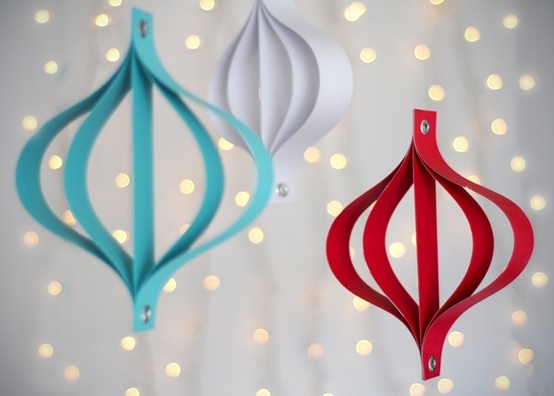 You can just staple the ends along with ribbons or strings attached to them at one end for hanging. Below are beautiful paper baskets to gift candies, fruits or nuts to your friends. Things you need: Good quality paper plates, design scissors, plain scissors, colored tape, paper clips, pencil. For decorating baskets from outside..either draw flowers or polka dots or stick colorful flowers etc or just use fancy stickers or glitter. 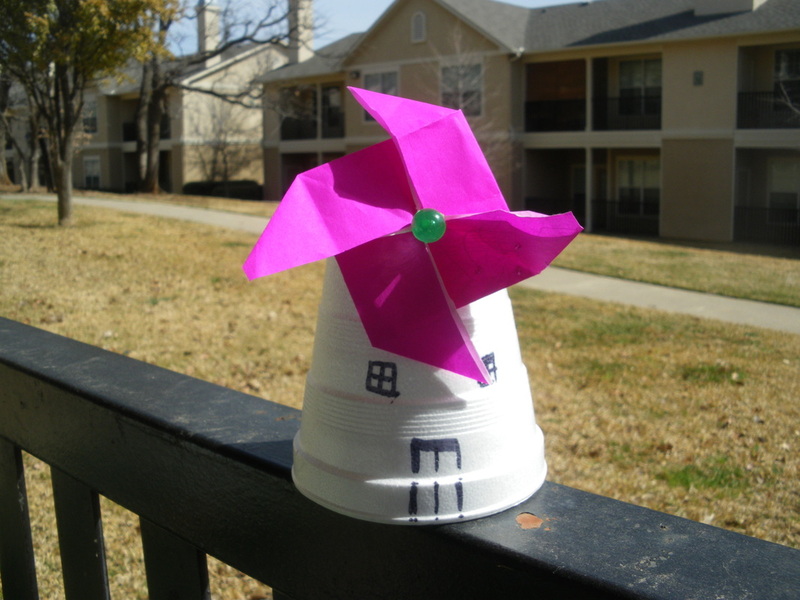 Enjoy making these beautiful easy crafts for kids. Friends..plz share your ideas here in the comment section and I will publish them here.